A specific, static text can be entered here. 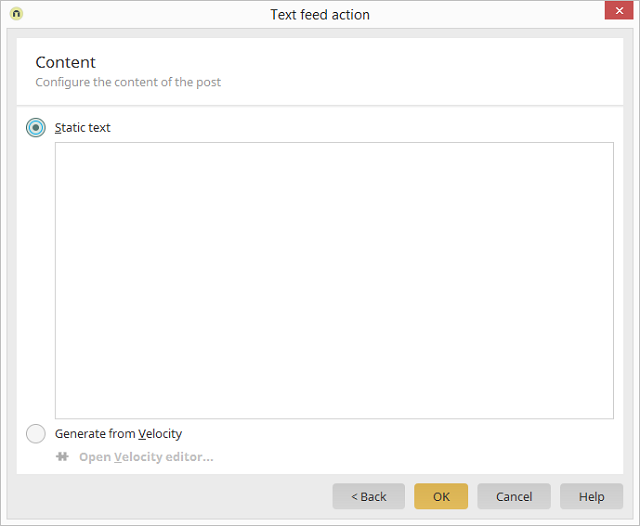 The message content can be generated dynamically using Velocity. Opens the Velocity editor where the script can be written.